This is reblogged from my post at PLP Voices. Google Drive is entirely free and works within any browser, although to enjoy all of its features, you do need to use Google’s Chrome Browser. Chrome is also free and will allow you to integrate content and material across devices and platforms. 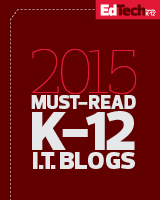 It’s certainly worth adding to your software toolkit. With Google Drive students can create a variety of content, but here we are going to focus on word processing documents. The Google Drive word processor is less feature-packed than Microsoft Word or Apple’s Pages — which actually makes it easier to use. That said, Google has included most of the popular word processing features, including text formatting, headers & footers, image insertion, etc. 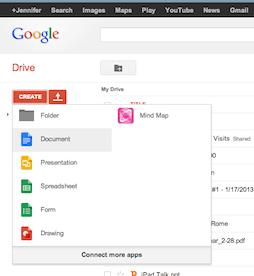 Students will need a Google account to create and share documents; this is the way Google assures that document access can be controlled by the creator. When creating a new document, students simply select “create” and then “document.” Voila! A new text document appears and they proceed in the same way they would using any other word processor. 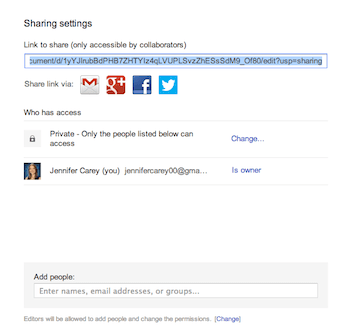 The share/feedback feature is a really powerful teaching tool. Instead of emailing documents back and forth (which is a huge pain with many opportunities for confusion) teachers can go quickly to Drive, find and open the student’s paper in the Drive table of contents, and make “live” comments and corrections on the student’s paper. There are no duplicates or separate versions floating around in your inbox or mail folders — the student’s document is always available in the cloud at your Google Drive account. To make a comment simply highlight a section with your cursor and click the “comment” button. You can add as little or as much text as you would like. If you’re like me, you’ll find yourself giving students more feedback, more often, and in less time, thanks to Google Drive. Google Drive also makes it easy to track revisions and a document’s history. After you make comments on your students’ writing and they make changes, you can go back and trace the alterations they have actually made, step by step, over the course of creation. Just select File > See Revision history and click on any date/time. If it’s too much detail, click on Show less detailed revisions. With a few minutes of review, you’ll have a better sense of how responsive students have been to your feedback and perhaps see ways you can make your feedback more effective. Once the student’s paper is complete, it’s simple to pull a copy from Google Drive in any of several formats (including MS Word and PDF) by selecting File > Download as… or simply choosing File > Print. Once you have mastered the basic elements of Google Drive, it’s time to play with the advanced features. You can explore many tools for teachers at the Chrome store. Shifting your classroom from paper or computer-resident writing systems into the cloud may seem like a big and even intimidating step. But the payoff is worth the effort. By harnessing the power of Google Drive, you can explore your students’ writing process in depth, at the click of a link, and provide them regular, dynamic and meaningful feedback. As a result their writing and research skills will improve and the feedback process will become more fluid and enjoyable for you. This entry was posted in Education, Educational Resources, Educational Technology, Google, Lesson Plan, Pedagogy, Technology and tagged Ed Tech, Educational Technology, Google, Google Docs, google drive, PLP, writing, writing skills on September 16, 2013 by Jennifer Carey. Great post. I really like this site. Keep up the good work.